To Return to Articles Page click here. While you're golfing or biking this summer, Ron Cram is climbing to new heights. He's skied every month for nearly seven years. Does he have a problem? The indefatigable Cal Ripken is closing in on 2,500 consecutive games for the Baltimore Orioles. Impressive, sure, but does Ripken have to hike in ski boots for three hours with skis on his back to continue his ironman streak? 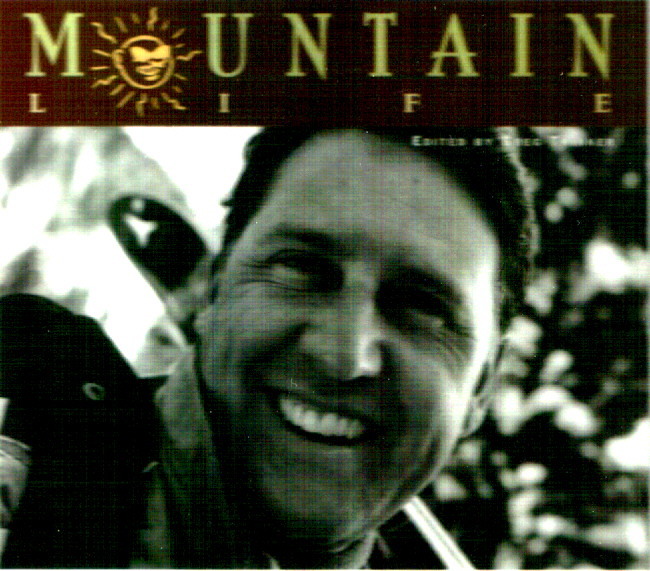 Ron Cram, a 41-year-old medical sales rep from Sandy, Utah, has skied at least once a month for 68 consecutive months. The streak started innocently enough on Oct. 29, 1992, when he made a few easy hike-to runs on the Payday trail at Park City ski area. He's never looked back. "I thought I'd continue for a season or two," Cram says. "Now, I can't bring myself to stop. I guess I'll keep skiing until I can't physically do it anymore." An expert skier, Cram carves up Utah resorts in the winter, then hikes and skis the bowls and saddles of Little cottonwood Canyon during the summer. His favorite destinations are Katharine's Pass at Alta and the Pipeline Bowl, which is nearly a three-hour hike from Snowbird. The toughest months are August and September, when Cram may scramble to 11,000 feet to reach enough snow to click into his K2 Comps. His usual starting point is the parking lot at Snowbird. With his skis lashed to his backpack (someone stole the skis he kept hidden in a rock outcropping at 10,500 feet), Cram first climbs in his hiking boots over the moderate terrain, then switches to ski boots, and finally attaches crampons for the final ascent. He tends to ski alone, after work. "My ski buddies don't seem to want to think about snow when it's 90 degrees down in the valley," he explains. Cram's four kids ski in the winter, as does his wife, who "used to fight me on this." Now, with the streak approaching seven years, he explains, "she's stopped." After skiing 68 consecutive months, you learn a few of the mountain's secrets. Summer snow at altitude "freezes and refreezes so many times that it looks like there's a layer of crushed glass on top," Cram says. "It even sounds like crushed glass when you set an edge." And the summer sun, of course, takes it's toll, creating "little cupped craters around any rock or stone because they attract the heat." The solution? "You ski around them, of course," he says.